The Macallan Quest is a lively and fresh single malt whisky which is all about curiosity and the intent of stepping out to explore the unknown. Matured with four different cask types, each delivering an individual influence on the distinctive flavour. European and American oak sherry-seasoned with the finest sherry come together with American oak bourbon and hogshead casks to deliver a soft blend of citrus fruits balanced with vanilla oak. Apple mixes with ginger and dry fruits. Nutmeg and cinnamon soften on the palate and fade later to allow oak to show. 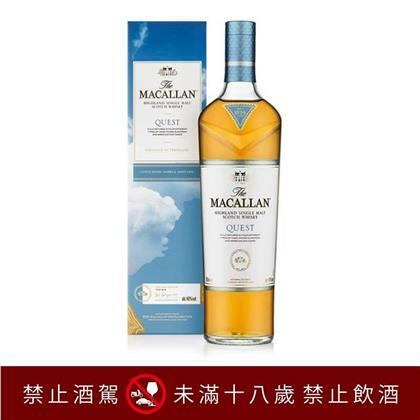 The sale of Duty Free alcohol items is based on the local regulation of Tobacco & Alcohol Control and related rules. EVA AIR reserves the right not to sell alcohol to passengers under eighteen.